Chatting with a close friend last night, I had a sudden ah-ha moment. I suddenly realised that one of the biggest reasons that people don’t like a prophetic word they have received, and also then don’t go on to steward that prophetic word well, is that they compare their prophetic word to what another person has received. They believe that the other person’s prophetic word is better than theirs and they want that one. Have you ever compared your prophetic word to someone else’s? One of the dangers of someone giving prophetic words in public to people is that it sets us for comparison. Everyone can hear what everyone receives. You hear the word for you and you are so busy wanting something else that you don’t see the gold in the prophetic word for you. Don’t look around at what prophetic word others are receiving. Focus on yourself and God. The definition of comparison is to look at the similarities and differences between two things, in this case between what has been prophesied over you and what has been prophesied over others. 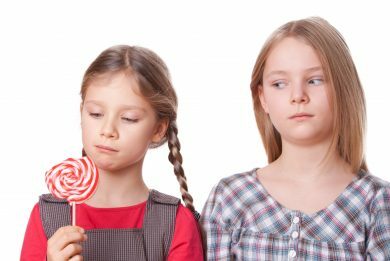 The definition of envy is the feeling of discontentment or resentment of another person’s position, possessions, qualities or luck. Comparison is the beginning of envy. Envy causes strife. Stay away from comparison!! Last week I shared about what to do when you feel like you have received a bad prophetic word. http://www.unlockingthegold.com/what-to-do-with-a-bad-prophetic-word/ This is a great blog post to review for practical steps on what constitutes a bad prophetic word and what to do about it. When we are tempted to compare our prophetic word with someone else’s, or we finding ourselves feeling envious of their prophetic word, the following are some steps to take. Focus on God. Who God is. Get a grip on who God says you are. God has a far larger view of you and your abilities and your future than you have. Rejoice with others. Celebrate the positives that others have prophesied about them. Do not begin to compare. If you have any feelings of envy, go to God and deal with your feelings with God. Stop the negative feelings of comparison quickly. Keep ‘clean’ before God and before others. One of the ways that I know if I have a great heart attitude towards someone else is to genuinely bless the other person and what has been prophesied over them. Chase after God. You will not go without. Grab hold of what He says about you and work on that in your life. 1. Children / Families Activation: Have paper, crayons, and stickers of all sorts of clothes set up on a table. You may also like to have a whole heap of dress up clothes as well that children can select from. Pair children up and ask then to ask God how He sees their partner dressed ie what God sees them dressed as. Then ask the children to either draw that on the paper or select stickers to stick on the paper that represent what they felt/saw/heard or to choose from the dress up clothes. Ask the children to share with each other how God sees them dressed. 2. Group Activation: Choose two people to stand facing each other. Ask everyone else to stand behind these two people, half the group behind each of the front people. Take it in turns giving prophetic words. The first person gives a prophetic word to the person facing them and then they go to the back of the line behind them. The person who just received a prophetic word prophesies over the person in front of them. As soon as they have delivered the prophetic word, they go to the end of the line behind them. Continue on until everyone has received a prophetic word and has also given a prophetic word. Have a time of people sharing the highlights that they heard for other people and for themselves. Celebrate the accuracies that were heard. 3. Beginner Activation: Choose a chapter of the Bible to read. Highlight for yourself any promises or ‘gold’ that you get out of that chapter. Then spend time with God writing a prophetic word for a friend from that chapter. 4. Intermediate Activation: Ask God to remind you of someone whom you find it hard to bless or celebrate their prophetic words or someone whom you find its hard to love. Spend time with God getting a glimpse of how He sees that person. Write a prophetic word for that person and deliver it to them this week. 5. Advanced Activation: Awakening Australia is occurring in Melbourne this next week. Spend time with God crafting a prophetic word for the city of Melbourne. Write it out. Then declare it out over Melbourne.